Things are really getting back to normal since Natsu and Happy are just breaking into Lucy's apartment and hanging out again. 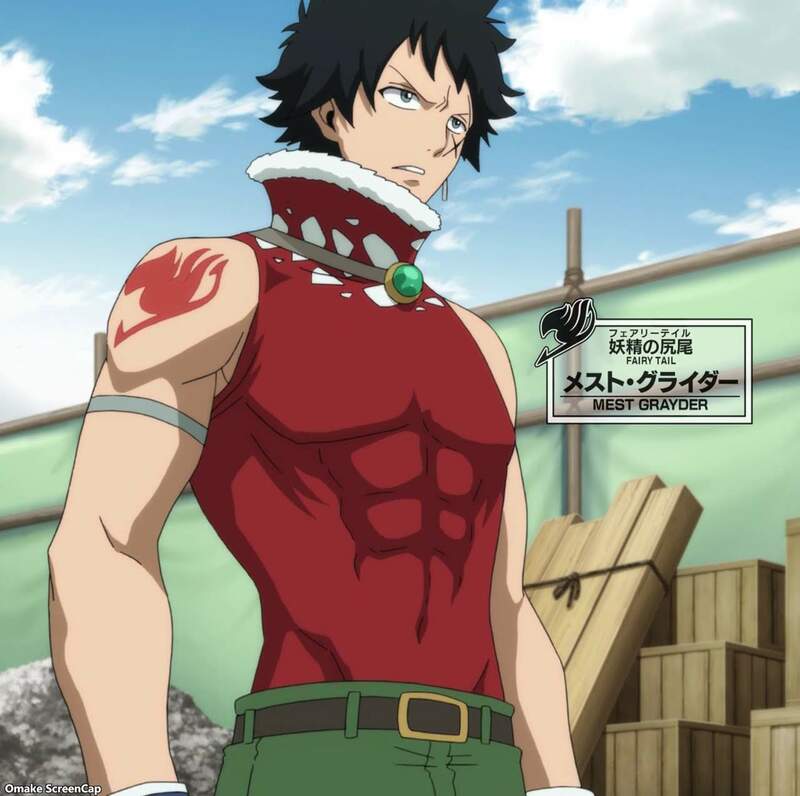 Lucy thinks she can take on Natsu now after a year of special training, but she forgot that Natsu has had a year of special training too. The Fairy Tail guild members are rebuilding their headquarters, but with things starting to feel familiar again, the usual things happen, like a full scale brawl! 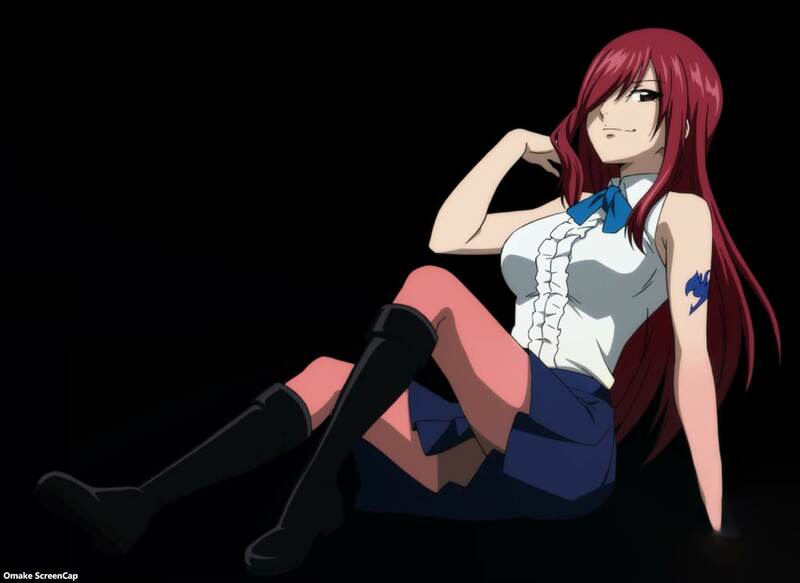 Usually, Mirajane would put a stop to things, but it was up to Erza to put her foot down. Literally. 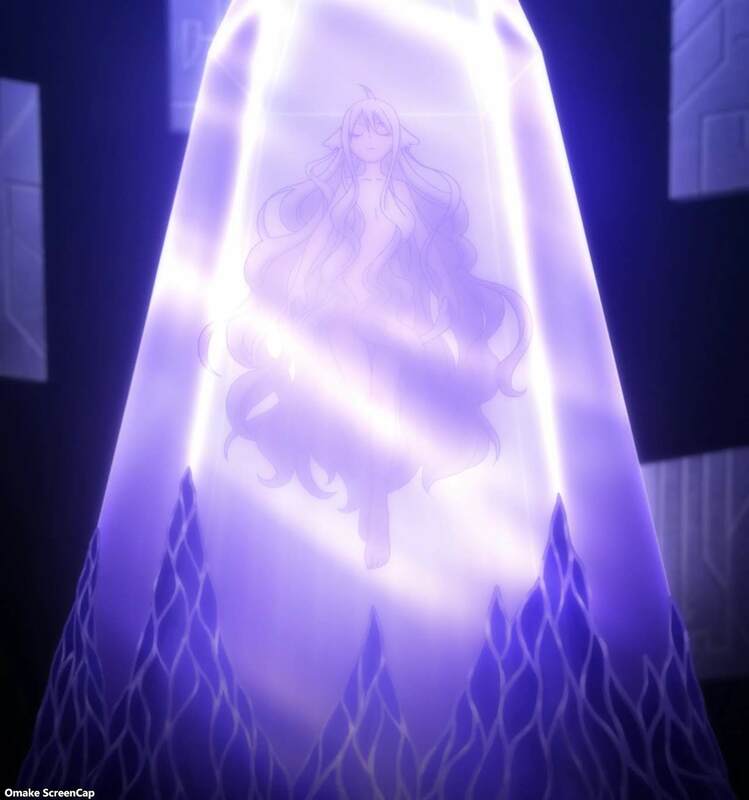 That foot also made her the best choice to be the next and 7th Guild Master, before they try to find Makarov. 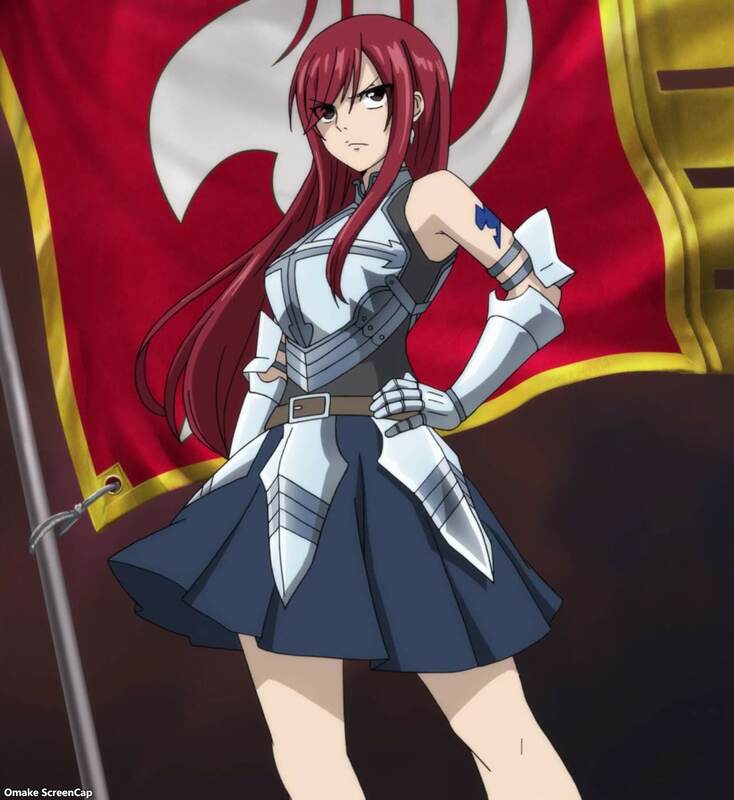 Erza took her turn in one of the eye catches between the A and B parts. 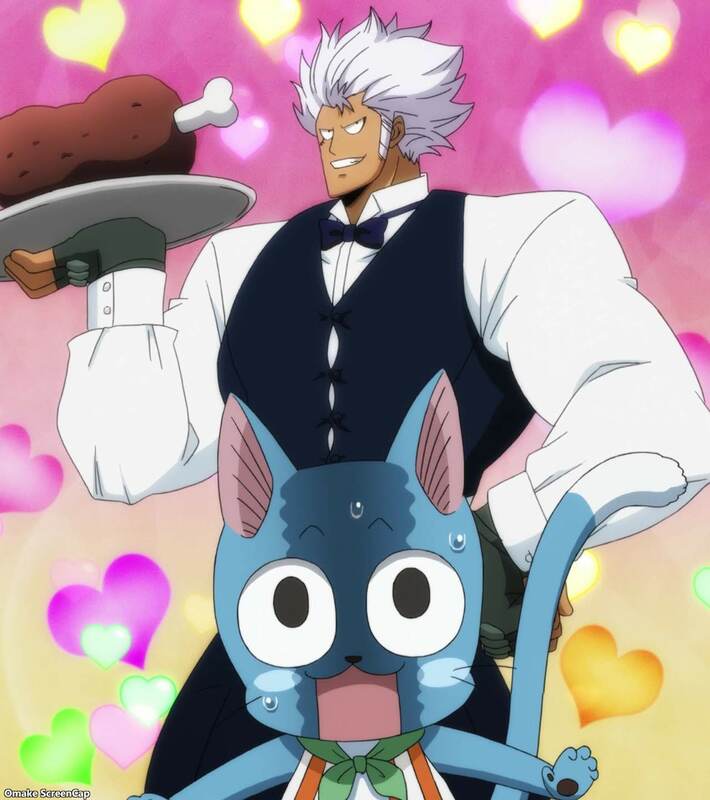 The big revelation was that Doranbolt was always a member of Fairy Tail as Mest, and that was even before he changed everyone's memories to insert a fake Mest as a guild member to go to Tenroujima. It's convoluted, but that's Fairy Tail for you. 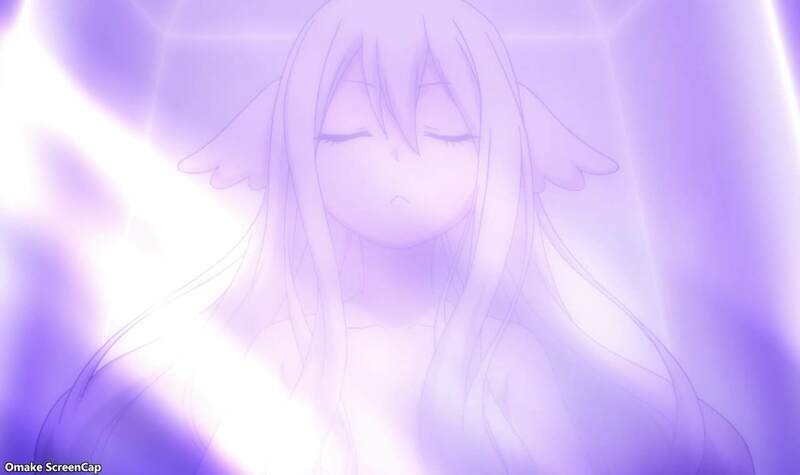 Anyway, the real reason for all this subterfuge and why Makarov disbanded the guild was the Alvarez Empire would be coming for their greatest treasure, Lumen Histoire, the real body of Mavis. In the preview, the A Team's first stop is some kind of beach town. 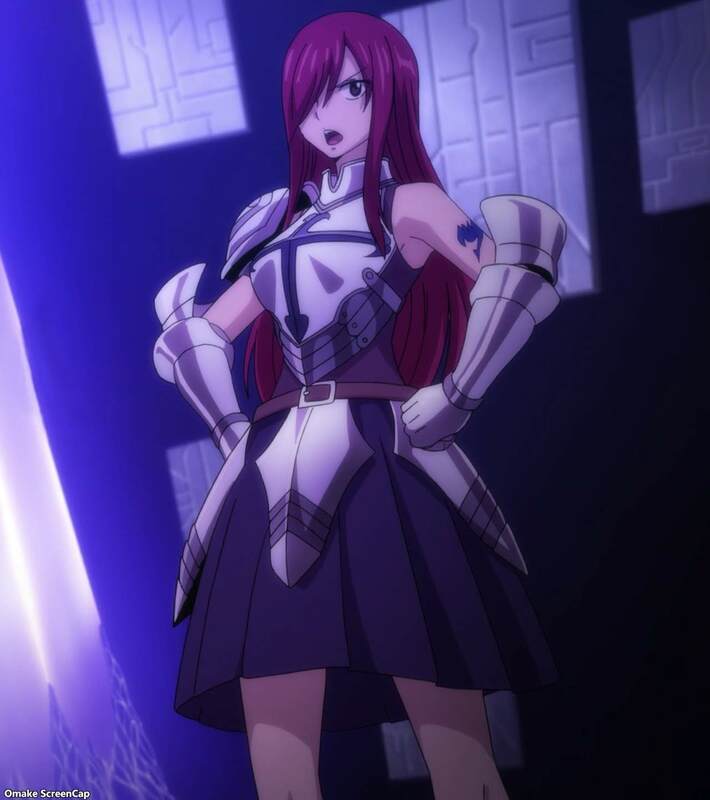 This requires some nice costume changes for Erza and Lucy.